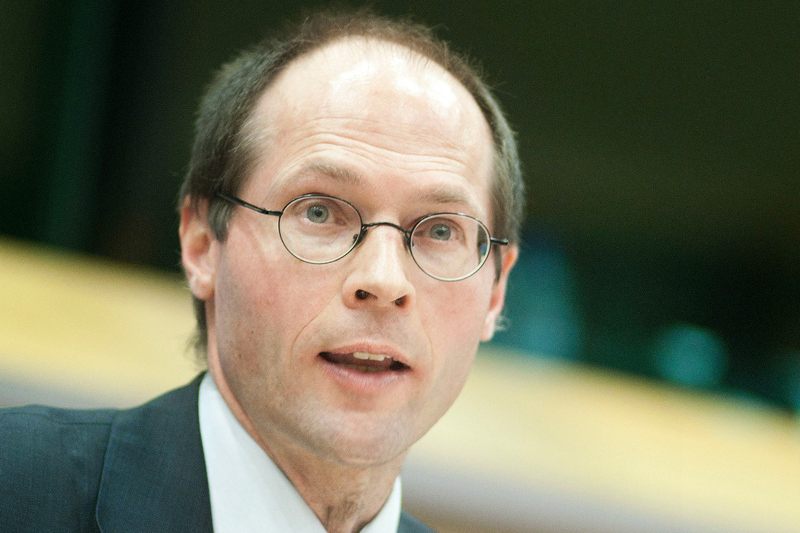 Olivier de Schutter, a Belgian academic, is the United Nations’ special rapporteur on the right to food. In 2013, he won the Francqui Prize, sometimes referred to as the ‘Belgian Nobel Prize’ and one of the country’s most prestigious awards in the biological, medical and social sciences. On Thursday and Friday (8-9 May), he convened the Francqui International Conference in Brussels under the title ‘The EU’s Fifth Project: Transitional Governance in the Service of Sustainable Societies’. He spoke by telephone to EURACTIV’s Marc Hall, the day before the conference. You are convening the 2014 Francqui International Conference, after receiving the prestigious Belgian prize last year for your work in the social sciences, particularly on how law can improve the quality of human life. The title of the conference is ‘The EU’s Fifth Project: Transitional Governance in the Service of Sustainable Societies’. What is this ‘transitional governance’ that you refer to? Well, essentially the idea of the conference is to build on the very impressive growth of social movements that are working towards a transition by often local level initiatives, and a variety of social initiatives, for which the European level is often irrelevant. We feel that it is a missed opportunity that these social movements, transition towns, eco-village networks, the various occupy and indignados movements, basically have no dialogue with the discussions at European level. There is of course a very strong commitment of the EU for moving towards sustainable societies, whether in the social sense, with viable social security schemes, for example, or whether in the ecological sense, for greater resource efficiency and better recycling of waste. The conference aims to bring together these constituencies, which basically live in mutual ignorance, if not mutual suspicion – social movements on one hand and the Brussels-based elites on the other hand. NGOs based in Brussels that are, in a way, connecting these two worlds to one another but have not been tapping really into the potential of these social movements as yet. So transitional governance is, really, a question about which levers could be used in order to make the transition towards sustainable societies happen. And the levers usually have been very classic: regulation, top-down regulation, or economic consensus, taxation, for example, or subsidies to encourage more responsible production and consumption styles but I believe that there is more to done and that we should use also a tool that insists in supporting social innovations, local-level initiatives, movements such as those I’ve mentioned, the transition towns movements, the eco-villages, the municipalities that team with citizens or economic actors to develop news ways of consuming, producing, moving and eating, and I think that that is what the idea of transitional governance is about, which levers can accelerate this transition most effectively. You say, in the summary for the conference, that many EU regulators have been trapped in a ‘formalist’ approach to regulation, but a lot of what the European Union does is supporting bottom-up initiatives, offering financial support in different areas. You can see European logos on the websites of lots of different universities and on signposts in towns that have been renovated using European Union funds. How is this idea of transitional governance any different from that? There is for a moment a debate in the EU concerning the future of Europe that is very much a sort of mirror game between those wanting more Europe, for example pushing for a greater transfer of powers to the European level, promoting federalist approaches, if you wish, and on the other hand, a very heterogenous group of opponents to this project, whether they are fearful that their social state, built at national level, shall be dismantled, whether they are just attached to a mystical idea of the nation state as homogenous in a communitarian approach, if you wish, or whether they fear that the EU will impose new rules that will reduce private initiatives and result in more bureaucracy and greater layers of regulation. So that is the debate that’s taking place, and I think that that debate is not sufficiently enriched by the idea that the EU can actually contribute much to supporting local level initiatives, which indeed are bottom-up initiatives, that do not result, necessarily, in the EU homogenising everything and eradicating differences and imposing one single model, which is what the EU is often perceived as doing. Instead the EU’s role could be to stimulate a variety of approaches as inventive as social actors themselves can be and therefore thriving on difference and on heterogeneity, instead of trying to impose uniformity by top-down approaches and models that are meant to apply similarity across the EU 28 member states. So, you are quite right to emphasise this, there are quite a few things the EU is already doing but it still has not been influencing the debate on the future of the EU. It is still not seen as an alternative to this dialogue between the federalists and the anti-federalists. It is still not seen as an alternative governance model, for the EU to stimulate collective learning by promoting different approaches to the problems that our societies face and by rewarding, if you wish, a much more experimental, bottom-up approach to solving these problems. One might say that it is trying to bring to light things that are already there but not yet theorised about or thought about as an alternative to the usual way of doing things, which is very much top-down and perceived as technocratic. You refer in your summary of the conference for the need to allow local experimentation and bottom-up innovation. This allows people to define their own modes of living more, as you were saying, with these bottom-up initiatives. Would regulators only oversee and then intervene when necessary or would they be there in an advisory capacity? Yes, the alternative is certainly not, and that is the key point, the central question that you are asking here, imposing uniform ways of doing things across the 28 member states, which have become very heterogenous, and more and more diversity co-exists within the EU, or, on the other hand, doing nothing. There is, of course, a third way in which the EU could approach issues, which is by accelerating collective learning, by comparing experiences, by identifying which local level social innovations have been working best towards achieving the framework goals set at EU level and stimulating other regions and member states to seek to imitate those good examples, and to replicate those more promising experiments, and I think that is probably a very underestimated role that the EU can play. It is in stimulating collective learning and stimulating, basically, a richer discussion at member state level, at regional level based on these comparisons. The only area in which this has been attempted is really in the range of open methods of coordination that have been launched about 12-15 years ago with the Lisbon strategy, launched in 2000, but that was not generally seen as successful, part because it was not genuinely owned by civil society, by social actors. It was very much limited to a discussion amongst technocrats. So I think that there is a potential for improving governance in the EU in certain areas where harmonisation is not necessarily the best solution, which the conference seeks to highlight, and the belief of many whom I spoke to, many people involved in these movements, who do not see the EU as a particularly important actor in what they are doing, their belief is that the transition towards sustainable societies will best be achieved by providing space for local actors to work together towards innovating, towards finding new solutions to problems than for other actors than to seek inspiration from that, instead of the EU sort of imposing one single way of doing things as if the solutions were the same in Slovenia or in Bavaria. You are a strong advocate of greater societal equality, which is perhaps reflected in the fact that you invited the authors of the Spirit Level, Kate Pickett and Richard Wilkinson, to speak at the conference. Why is greater equality such an important part of your work? One original part of the conference is really to try to highlight that sustainbility is not just about managing our ecological footprints by reducing waste and improving efficiency in the use of resources. It goes far beyond this because society-wide changes are required for sustainability to be truly achieved, and part of this is to focus more on equality. The reason is very simple, it’s the only way to move beyond this dilemma between more growth, which is needed to improve the incomes and employment opportunities for those who have less income and fewer employment opportunities and, on the other hand, environmental sustainability, which, taken seriously, means not to grow further, because more growth, of course, means greater deficiency of resources, more waste and a lesser ability for the ecosystems to cope with this expansion of the economy. So to move beyond this dilemma, growth versus environmental sustainability, greater equality is required. The more a society is equal, the less growth we need to reduce poverty, basically, and the more a society is equal, the smaller the gap, in other terms, there is between the poorest segments of the population and the richest and the less people will seek to increase consumption as a means to climb up, if you wish, the social ladder and to compete with others based on conspicuous consumption. One of the key drivers of consumption is, of course, to imitate what the social class just above your own is doing and their kind of lifestyle. So, yes, this is why Kate Pickett and Richard Wilkinson have agreed to come, to emphasise the very important goal of equality in achieving this sustainability without having to grow the economy to reduce poverty. You recently presented your final report as UN special rapporteur on the right to food to the UN Human Rights Council in Geneva. How has your work on global food systems informed your view of European governance? Well, in two ways, and thanks for asking this because usually this connection is not made, but, first of all, I think that in the debate on the future of food systems and food security, the question of sustainable consumption is never asked. We have focused over the past 35 years on increasing production; we are now paying greater attention to producing sustainably, and to reducing the ecological footprint of production of food but we have not yet asked sufficiently about consumption, and I believe that certain tendencies, such as the increased consumption of meat in many parts of the world, such as the push towards greater production of energy crops for biofuels, show the need to put this squarely on the agenda of the discussions on food security and sustainable consumption. That is certainly one clear connection. A second connection is perhaps more obvious. Working on food, I was privileged to perceive a large number of initiatives taken by citizens, often at municipal level, with the support of local authorities to rethink their food systems: short food chains, school cantines that source locally and that source from producers who produce with agro-ecological methods, various farmers markets and various ways to connect more closely producers with consumers. All these initiatives, that are really proliferating all over the EU, point towards a kind of transition towards sustainable food systems, which I think can be generalised also to energy use, also to mobility and so on. So food systems are a very important area in which this idea of transition, from the bottom up, if you wish, is emerging as a very important potential to be tapped into. How has your time spent in the developing world informed your view of European governance? Well, you see, there is one part of the conference which is on trade and whether it should be rethought to contribute to this transition towards sustainable societies. Travelling in developing countries, I’ve become aware that there is an emerging discontent with the impact of globalisation. Globalisation has, of course, reduced inequalities between countries, for sure, at least for the large number of developing countries who’ve been able to benefit from globalisation but, at the same time, it has increased inequalities within countries and it has been having a huge environmental impact by increasing levels of environmental damage linked to export-led agriculture, linked to the pressure on the natural resources linked to the increased volumes of trade and we have now, in the developing world, many, one might call, environmental mutinies, many people revolting against these impacts, questioning the model of globalisation that has been dominating policies of the past 20 to 25 years and we need something else. So part of the conference will be to think about our relationship with the South. We are now in a very awkward situation in which we pride ourselves in the EU in complying with our commitments under the Kyoto protocol of reducing the carbon intensity of our growth and in reducing our greenhouse gas emissions but this is a complete mystification because in reality the reason why we pretend we can succeed in meeting these commitments is simply because we import more from developing countries, who are not forced to reduce their greenhouse gas emissions and we simply have outsourced the most heavily polluting industries. So we need to be aware that the dependency of the EU on the exportation of resources from the Global South has increased, rather than diminished, and that the ecological footprint of our consumption, as opposed to our production in the EU is huge, and has not diminished over the years. So I believe that lifestyle changes in the EU are inevitable and that this will bring about much a more healthy relationship with the Global South and we need to see trade as a means to achieve this, rather than increased volumes of trade as an end in themselves, as they often have been seen in recent years. Do you see a move to this form of governance as being feasible in the short term? I think there is a huge potential given the level of interest civil society has for these initiatives that I have tried to highlight, promote and have discussed. One very minor indicator of this is simply the success of the conference itself. It was announced at the end of January and over the first 48 hours we had more than 1,000 people wanting to register for a room that could not accept all these people wishing to participate. It was very impressive to see how much interest there is for connecting better the EU to transition initiatives that try to prepare the ecological transitions without, basically, waiting for governments to act, so that is one reason why I’m optimistic. I see a huge demand from civil society for this to move. Secondly, I think we have a lot we can build upon. More and more municipalities – particularly because I emphasise, again, the importance of the local level – are connecting with citizens groups, consumers, producers who innovate with energy, transport, food, for example. There are now catalogues of these initiatives that are being prepared and the number of initiatives that are developing is very important and, I think, the question really is whether the EU sees this as an opportunity, whether it shall be able to accelerate the sharing of experiences across the EU, so that the solutions that work in one member state can be a source of inspiration for other member states and I think the EU, which is really in need of improving its legitimacy in the eyes of citizens, would have much to gain by tapping into these social movements. But, of course, this would require the EU to see itself as something else than a machine to produce new rules and to organise inter-governmental negotiations on harmonisation or mutual recognition. It requires the EU to see itself as a learning machine, if you wish, to accelerate exchanges and experiences on transition processes across the member states. This is a shortened version of the full interview. Any one who is pro big Europe can never be taken seriously if they then push for local solutions.